Apple has agreed to start streaming and download sales of Sony Pictures' controversial comedy "The Interview" starring Seth Rogen and James Franco, making the straight-to-online film available to iTunes customers in the U.S. and Canada. Less than a week after Apple declined an exclusive offer to carry "The Interview" on Christmas Day, at the time citing an overly aggressive release schedule, iTunes started streaming the vulgar comedy on Sunday at 1 p.m. Eastern, reports Re/code. "We're pleased to offer 'The Interview' for rental or purchase on the iTunes store," Apple said in a statement. It appears the film didn't need Apple's huge iTunes audience to notch a record launch, as platforms like YouTube, Google Play, Xbox and Sony subsidiary Crackle raked in $15 million on two million downloads and rentals since Wednesday. "The Interview" is now Sony's best-selling online movie ever. Sources claim a "vast majority" of revenue came from Google's YouTube and Google Play storefront. Online sales easily beat the film's limited theatrical release, which has so far brought in an estimated $2.8 million. 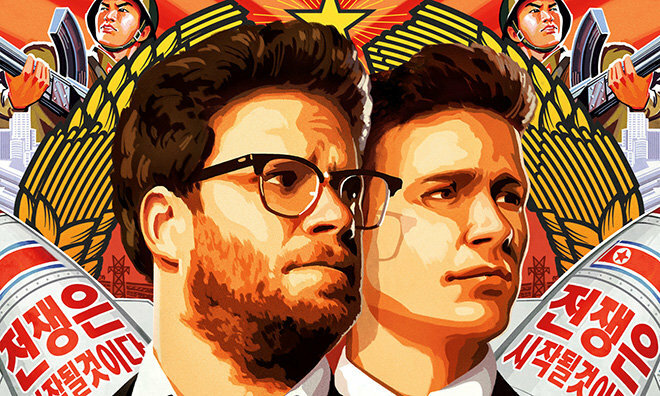 In the weeks leading up to its release, "The Interview" was dismissed by critics as an ill-conceived comedy starring Rogen and Franco, who previously teamed up in "This Is the End" and "Pineapple Express." The movie's plot revolves around a celebrity tabloid show host (Franco) and his producer (Rogen), who are asked to document an exposé on North Korean leader Kim Jong-Un. The CIA gets wind of the meeting and recruits the pair to assassinate Kim. Comedy ensues. Sony Pictures Entertainment servers were attacked earlier this month by hackers operating under the guise "Guardians of Peace," who gained access to and subsequently leaked to the Internet a great deal of personal correspondence, passwords and other sensitive materials. Although no solid evidence has emerged regarding the group's origins, the FBI believes the attack came from within North Korea, possibly initiated by DPRK officials who took umbrage with Sony's parody. Sony's hack sparked a groundswell of interest for "The Interview" and the movie quickly became a must-see for many, if only for novelty value. Hackers demanded Sony cancel the film and threatened physical terrorist attacks against theaters showing the film in the U.S., which ultimately forced Sony to pull the plug on a wide release. The company later reversed its decision, however, simultaneously releasing the movie online and in select theaters. Sony's "The Interview" is available to rent for $5.99 or purchase for $14.99 on iTunes.